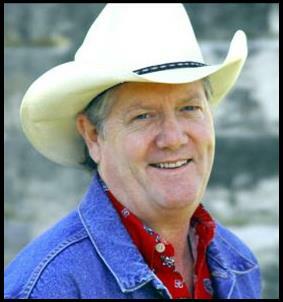 Lost John is a country singer and songwriter with firm roots in the great Texas Honky Tonk and Western Swing traditions. 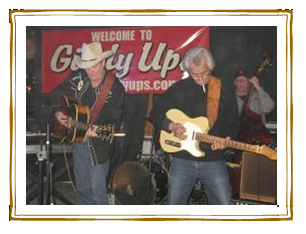 Since 1980, he has made his home in and around Austin and has honed his craft in the hill country honky tonks and dancehalls. John plays guitar, piano, and accordian. 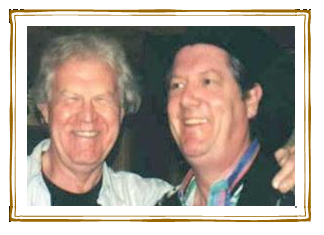 Over the years, he is proud to have worked with many of Texas’ finest songwriters and musicians. 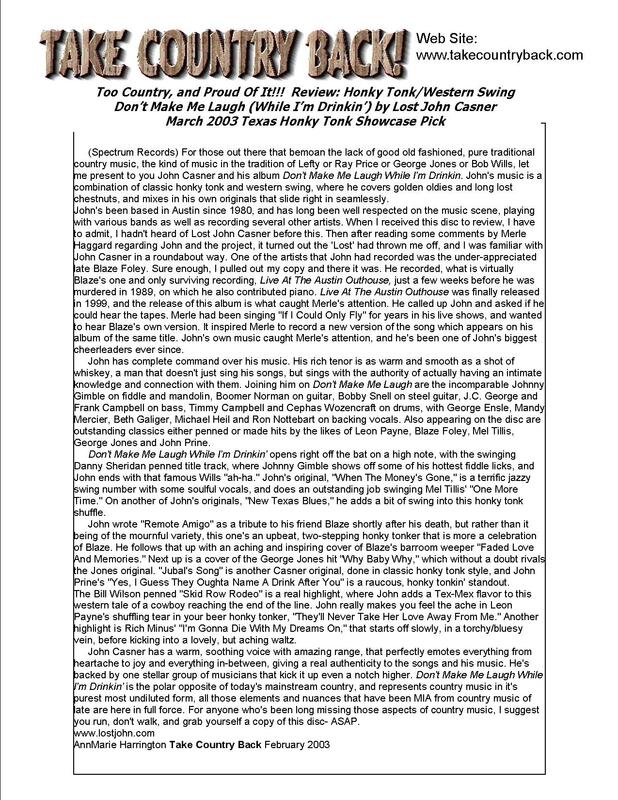 His CD, “Don’t Make Me Laugh (While I’m Drinkin’),” features several great Austin-area musicians, including the late, legendary Texas fiddler and mandolinist Johnny Gimble, guitarist Boomer Norman and pedal steel player Bobby Snell. Click “The Record” for more info and reviews. 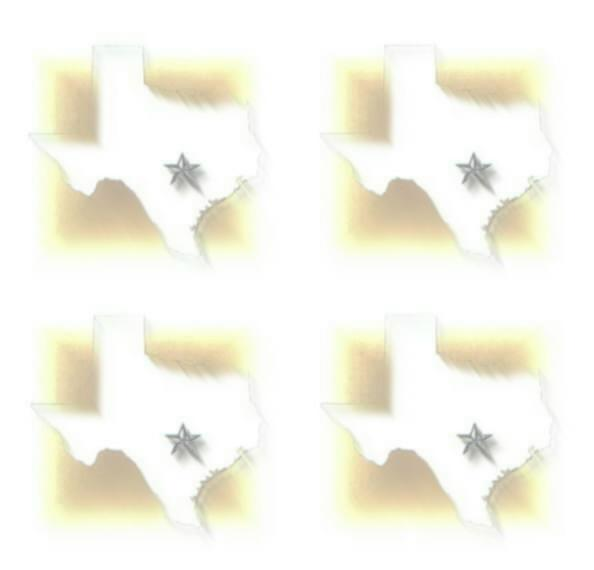 To purchase the CD, click on MyTexasMusic or Honky Tonkin Music. For Booking Info: Email John.